Construction projects often have enormous budgets that can be difficult to keep track of, let alone stick to. This is especially true of multi-site or multi-company projects. If you need to manage this type of project, make sure any platform you consider can support multi-entity entries, financial consolidations as well as intercompany eliminations and reconciliations. Construction management general ledgers record business transactions and integrate with other areas of the company like payroll to ensure accounting data is always accurate. Similarly, an accounts payable and receivable feature capable of managing expenditures and customer information is vital to the streamlined operation of your construction project. Construction management systems allow users to create budgets and invoices directly in the system, keeping everything centralized and organized. Users can even set role-based access to ensure security for their budgets. This centralized hub offers cash management features that allow users to track payments and generate financial summaries. To keep everything above-board, construction management software includes tax management modules and regulatory compliance support. These store local taxation information, as well as provide tax audits and tax reporting functionalities. To ensure transactions in foreign currencies are processed correctly, ask your vendor shortlist if the solution you’re considering allows for multiple currency conversion features. Bid management features allow users to manage all elements of existing bids for any given project within a single interface. Are you hoping to shop around for bids? Construction management software lets users analyze and compare bids, all within the same system you use for every other aspect of your project. Users can send bid invitations to subcontractors, share project documents and track bidder activity. The solution lets you create a central list of bidders who qualify for the bid process. This stores vital information on each contact including qualification, certifications, etc. This software will also provide a bid package summary that provides a realtime overview of the bidding status of each contractor that automatically updates based on bidder actions. MRP, or material requirements planning, covers everything to do with the materials it takes to get the job done. Construction management software provides an entire MRP module to keep users from switching back and forth between different platforms. MRP aims to help users eliminate purchasing and scheduling problems. It’s designed to streamline the process of purchasing and inventory, letting you — and your team — work more efficiently. MRP lets users plan construction, delivery schedules and purchasing activities so everything runs like clockwork. It ensures that materials needed to move on to the next step of your construction project are available before the crew needs to start using them, promoting smooth operation and reducing lost labor. It also tracks material levels to avoid overstocking, which results in waste and inefficiency. While some construction projects may warrant their own inventory management software, many construction management systems offer inventory management modules that are more than up to snuff. These modules can manage stock based on either value or quantity. When goods are moved, the solution should be able to create a new document in the system that updates all stock quantity and/or value within the inventory. No more manually tracking inventory! If you have a multi-site project, some systems offer the option to segregate your warehouse management by multiple locations in order to track which specific materials are stored in what warehouse. Construction management software also acts as a database and stores warehouse and product information such as minimum reorder point, primary location IDs and inventory cycle count code. This helps users replenish inventory only when it’s needed, reducing the chances of overflowing stores or running out of materials. Inventory management modules even offer audit control capabilities that help identify and track the reasons for any variances in reported inventory values and actual inventory. When users need to make these purchases, construction management software can issue purchase orders and generate receipts. When it comes to moving products around, it can be tricky to keep track of everything. This software records material movements between warehouses, to job sites, to repair sites, etc. Users can request materials via a purchase order that is sent directly to suppliers. Those suppliers can respond directly to purchase managers within the purchase order, reducing the likelihood of lost emails or missed communications. This has the added benefit of allowing project managers to directly monitor procurement activities in addition to engineering and construction. One thing that is true no matter the project or industry is that employees want to get paid! Getting a construction management solution that integrates with payroll software is crucial to ensure everyone is compensated fairly and conveniently. If you operate an SMB construction business you may not need to worry about the extensiveness of these capabilities, but enterprises should consider options that support an unlimited number of employees. Many systems allow users to define pay groups and pay types, ensuring the right people are getting paid the right amount. Users can also track absence, deductions, vacation, accrued leave, benefits, etc. within the system, making it easier for everyone involved to track and distribute compensation. An added bonus of construction management is the interconnectedness it fosters on your team. Employees can stay up-to-date on meeting items and tasks by creating new meetings, managing attendees, assigning action items and distributing meeting minutes. These minutes can be automatically emailed to all attendees, streamlining communication and planning. The system also helps users keep track of unaddressed issues and includes them in the agenda for the next meeting. Not every business needs customer relationship management software, but those that do definitely need it to integrate with their other systems. This is equally true of construction management systems. Their CRM integration should focus on managing opportunities and subcontractor contacts. Contractors can automate scheduling and send reminders to clients directly from the system, streamlining communications. Construction management CRM modules include a client search function, as well as tracking history that allows users to easily monitor progress and interactions. Construction management software should also support estimating features built around the scope of each project. This includes subcontracting, equipment rental, site labor, project management and engineering needs. The project management module of construction management software offers robust features for managing projects and resources. Project managers can utilize a master dashboard to glean insights into activities such as RFIs, change orders and committed costs. This allows users to create project estimates, take-offs and budgets. Or, if you prefer, you can import these specs from Excel or a third-party estimating software. Getting a change order can completely derail a construction project, so managing the process and flow of work orders is essential to staying on track. Construction management software tracks the approval of any change order as well as monitors the change’s effect on costs and schedules. It even provides impact reporting for both hypothetical and actual changes. Work breakdown structures (or WBS) make huge, complex projects more manageable by shrinking them into distinct chunks. Construction management software lets users track the progress of each of these individual chunks in real time as work is completed in the field. This lets project managers react to setbacks. The financial management of a construction project can be a daunting task, but construction management software helps smooth the process. Users can track project budgets, bids and expenses, which lets management plan and estimate costs for future projects effectively. Collaboration tools are key to project success. Construction management platforms let team members send and receive memos and discussion threads in the system, reducing the need for email communications that can pose security risks and reduce overall efficiency. Administrators can configure email and/or text notifications to be triggered by certain events so the whole team is up-to-date. Admins can also create to-do lists with set due dates and assign specific team members to those tasks. In the vein of efficiency, these solutions help track the time and expenses spent by individual resources on a given task. This helps managers plan accordingly when delegating work and budgets. They can also estimate the number of hours similar tasks will take and how much they will cost in future projects more effectively. Users can access this information, as well as post announcements and updates, via a resource portal that offers configurable widgets. Safety should always come first! Construction management software allows users to manage a variety of risk factors to their operation, both physical and financial, to ensure safety and prosperity wherever possible. Users can predict and monitor external risks such as public objections, tax changes, etc. so they are ready with a plan if these risks manifest. Users can also mitigate environmental risks through construction management software. It helps track environmental analysis performed by project teams to ensure it is completed. The financial risks of construction are just as real as physical ones. Users can use construction management software to manage cost overruns and technology changes. They can identify risks associated with individual projects such as failure to comply with quality requirements, contractor delays, etc. Many construction management systems offer mobile-friendly construction safety inspection tools that provide predefined and customized templates of different safety inspection items. They should also provide incident reporting systems to analyze, track and document any accidents on a job site. Then managers can use that data to develop a proactive approach to future onsite safety. Business intelligence tools are gaining popularity across software industries, and construction project management is no exception. Construction management systems offer BI tools that help you continually analyze performance across multiple channels and sites. Construction management software let managers track progress on strategic objectives, including real-time status of planned costs vs actual costs. Users can create dashboards with customizable views of all projects that incorporate graphs, task statistics, summaries, etc., all with real-time updates. Software systems with reporting capabilities offer pre-built reporting templates on a variety of construction project KPIs so you always know exactly what’s happening in every aspect of your project. If you can’t find quite what you need in a template, most will also offer the ability to create custom reports to your specifications. These reports can be filtered by status, milestones, priority, completion percentage and other parameters to increase visibility into your overall project metrics. Managers can visualize these reports in a range of graphs and charts to ensure even those without much experience with data analysis can interpret them easily. Some visualizations are even interactive, allowing users to drill down into their projects to see granular details and make necessary changes. Reports can be exported in formats such as CSV, PDF, HTML, etc. Managers can access an interactive view of resource utilization and identify team member allocation. This helps ensure proper workload distribution — an overworked employee is a less efficient employee! Construction management software lets users schedule email notifications to project team members to keep the whole team up-to-date. Managing your team in the field can be a hassle, but construction management aims to streamline the process where it can. With crew-based reporting tools, foremen and front-line supervisors can improve their efficiency when they make data-driven decisions. Users can create punch list items in the field to ensure all necessary tasks are accounted for and managed through completion. Superintendents are able to review work performed at each site and document them in daily reports. Managers can document all work performed, visitors to the site, weather, equipment and more via the site diary function, which can be accessed via mobile devices for their convenience. Document management features allow users to send, receive, store, retrieve, scan, index and share business-related documents. The digitization of these documents reduces paper consumption, postage costs and storage space. Users can generate submittals and transmittals, as well as update their current status, return dates and revisions within the system. This helps users stay up-to-date on the status of submittals and track who is responsible for them. Construction management software also lets users manage bond applications or renewals online through the software, reducing the need for outside communication. The documents included don’t have to only include PDFs or word files. Users can upload digital photographs and drawing files to the system, allowing team members to view identical charts, schematics or diagrams. The solution provides a database for these drawing files that users can manage online. It can even be configured to send automatic email notifications to all team members when drawings are updated. Users can access these via mobile devices. If your organization operates a fleet of vehicles, keeping track of them and keeping them in good repair is crucial to your success. Construction management systems with fleet management capabilities allow users to maintain their fleets so you’re never surprised by an unexpected breakdown. You can create multiple maintenance categories per vehicle, assign specific tasks to technicians, estimate repair times as well as list all financial and maintenance details within the profile of each vehicle. Tracking your vehicles can be a breeze with construction management. The solution should provide a visual overview of vehicle data in real time, allowing you to monitor vehicle location at all times. Using GPS telematics, drivers can receive automated communications of changes and possible problems. Relying on subcontractors can get messy to manage. 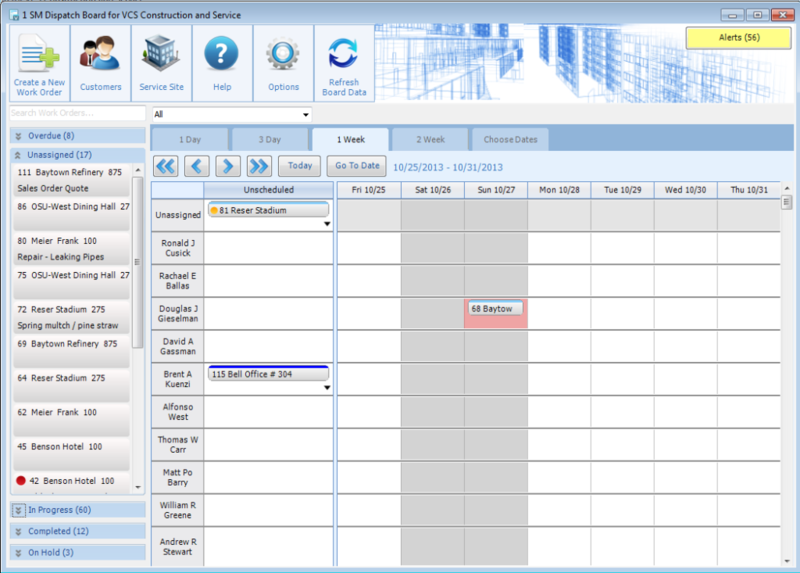 Construction management software offers subcontractor management modules to reduce the headache. Users can segregate tasks and assign them to individual subcontractors, so everyone knows exactly what they’re expected to do. Plus, construction management software delivers a construction-specific user experience and allows easy exports to Excel, CSV or PDF. Managers can send and store contracts directly within the system, as well as manage financial activity on each contract. Subcontractor information is stored in a centralized contact database for easy organization. Users can create custom codes or groups of contractors for future projects, cutting down planning time. With construction management software, users can track the utilization and allocation of heavy machinery and other equipment used on the job. This reduces likelihood of injury, lost or damaged equipment, theft and unused equipment. It also helps track the financial impact of equipment — P&L teams can analyze purchase versus rental costs, track utilization and manage maintenance. Some companies may need a full-fledged computerized maintenance management solution, but others will find the equipment maintenance functions of construction management software more than adequate. It provides alerts for scheduled equipment maintenance so users can’t forget to perform key repair and upkeep tasks. What’s worse than not having the equipment you need? Knowing you had it yesterday. Construction management software provides tracking for all tools, equipment and vehicles. Can the solution be installed on iOS and Android mobile devices? Does the solution provide a mobile-friendly website for users to access the system while on the go? What kind of security protocols are implemented to keep this data safe? Do I need this software to be able to communicate in multiple languages? If so, which are supported by this system?  If I have trouble, can I contact vendor support via phone, email or instant chat? Is this support 24/7, or only during certain business hours? Does this product come with a demo or trial so I can take it for a test run? Now that you’ve got a firm understanding of all the potential requirements a construction management platform can give you, you’re ready to start shortlisting! The next step is to choose vendors that meet your organization’s requirements and narrow them down to the right product for you. Did we miss any key construction management software requirements? Did you find this checklist helpful? Let us know in the comments!